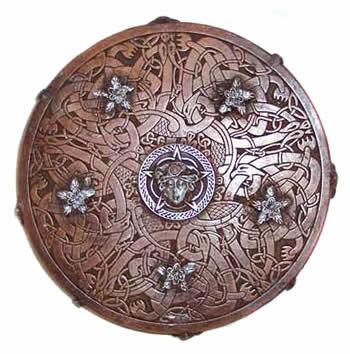 Brigit, Rhiannon & Cerridwen Celtic Goddesses Brigit, Rhiannon & Cerridwen, ancient mothers of the Celtic lands. 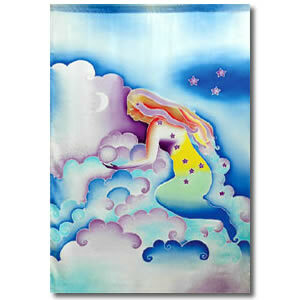 Designed by internationally known artist, Joanie Mitchell. 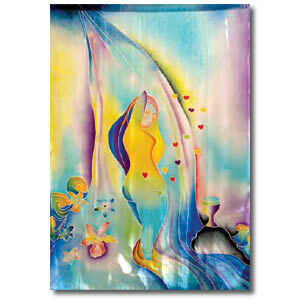 Silk Goddess Wall Hangings - 20" x 30". 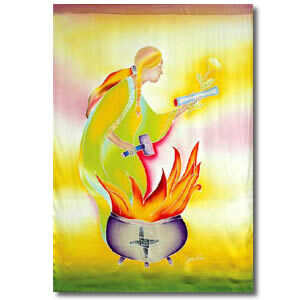 Designed by internationally known artist, Joanie Mitchell Silk Goddess Wall Hangings - 20" x 30".